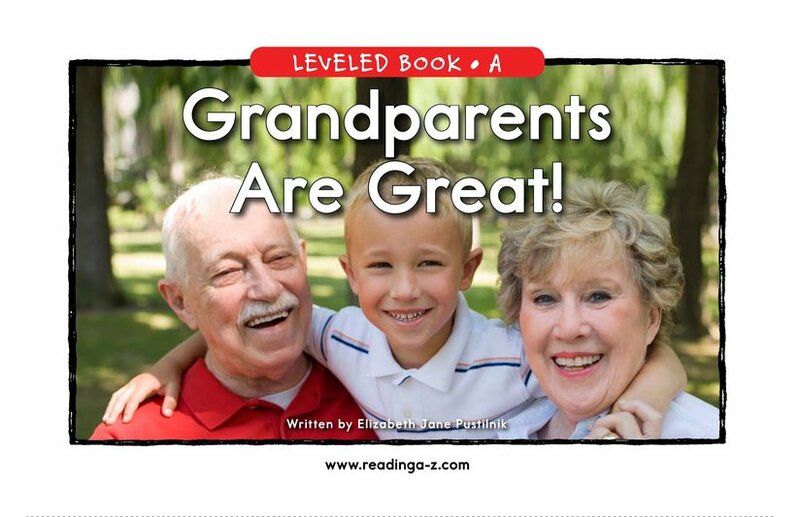 > Books > Leveled Books > Level A > Grandparents are Great! 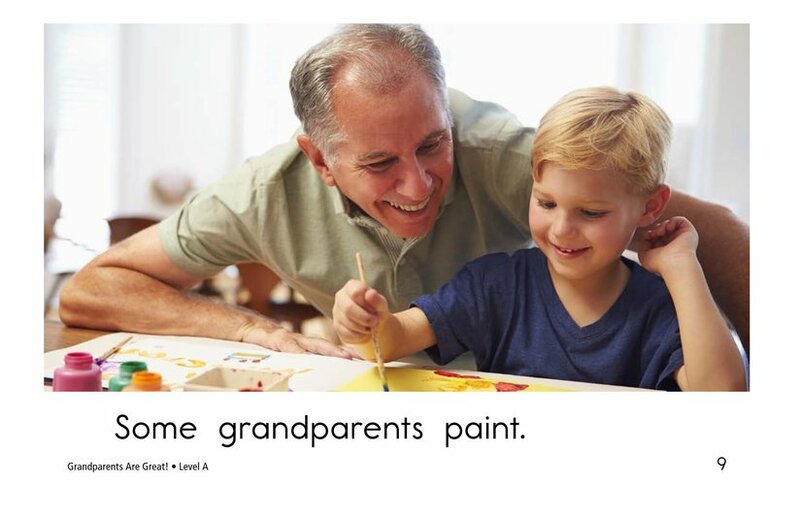 What things do you enjoy doing with your grandparents? 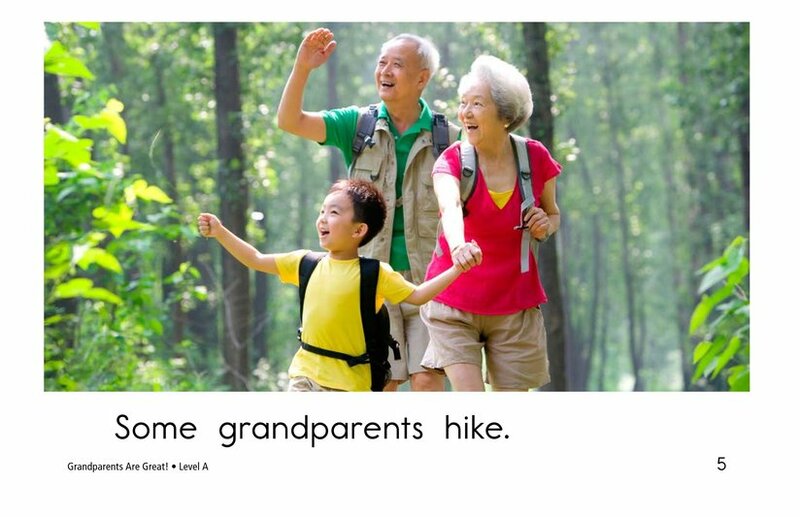 Do they like to swim or hike? 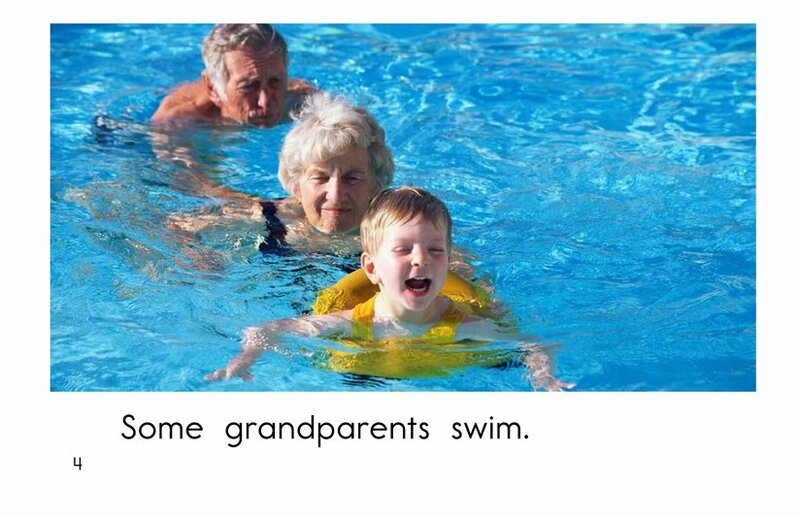 In Grandparents Are Great! 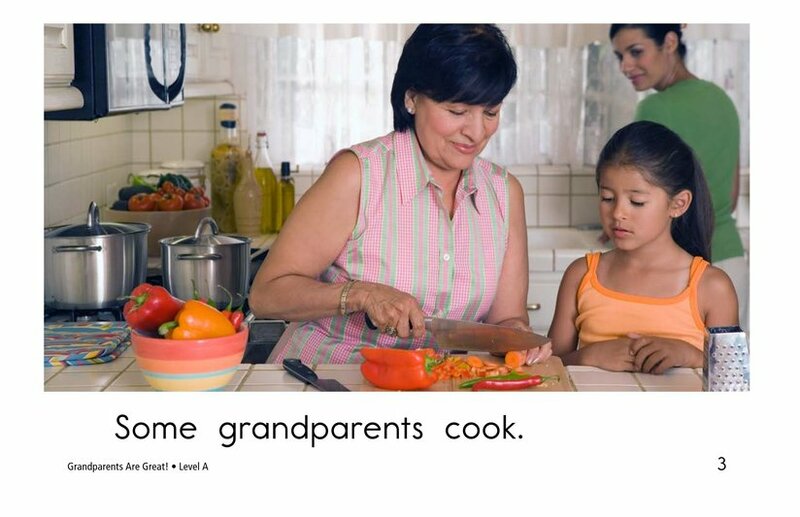 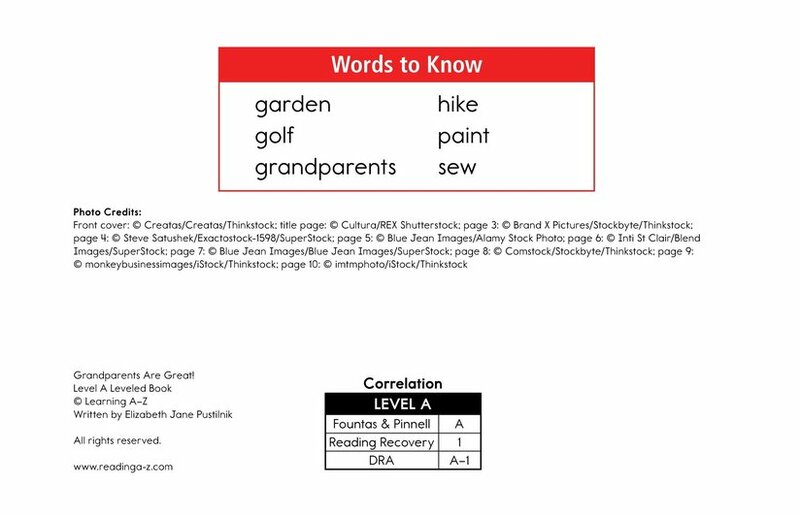 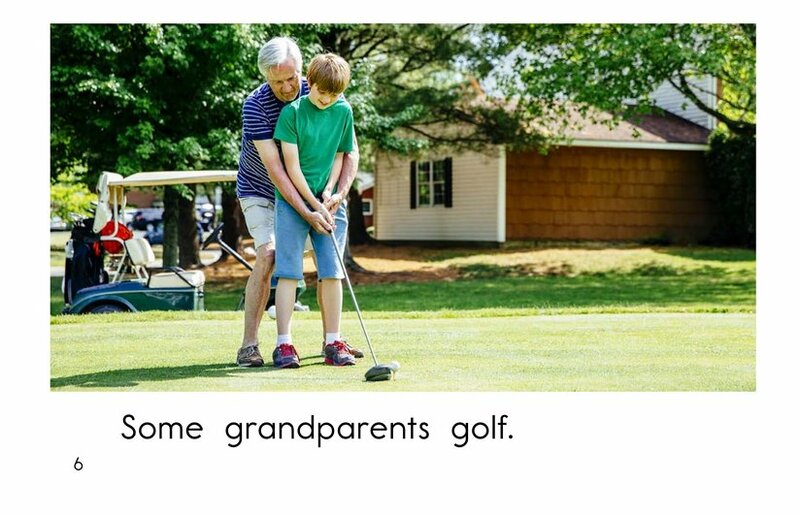 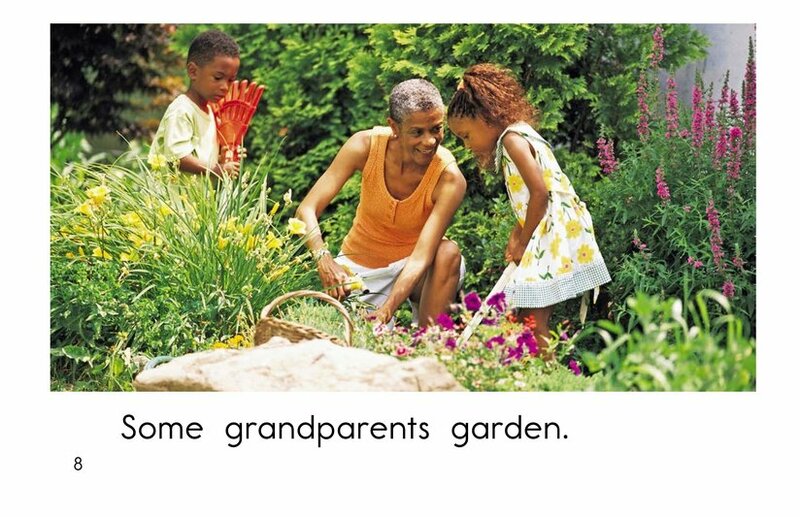 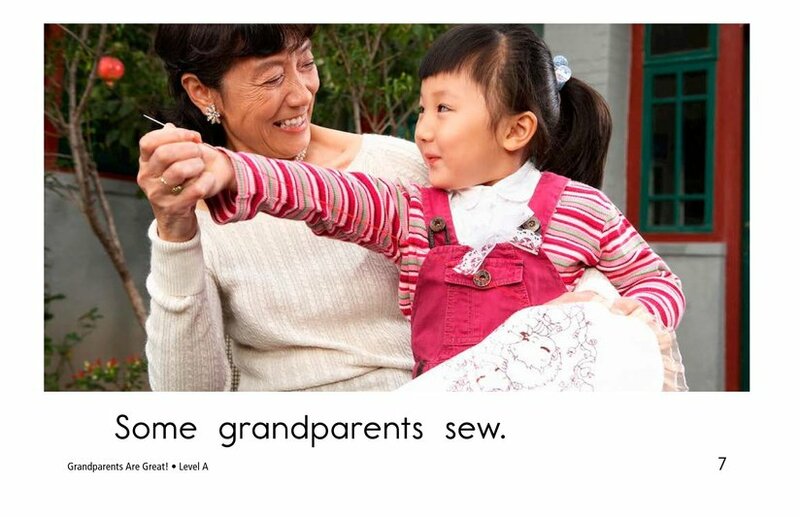 students will learn some of the many different things that grandparents can do. 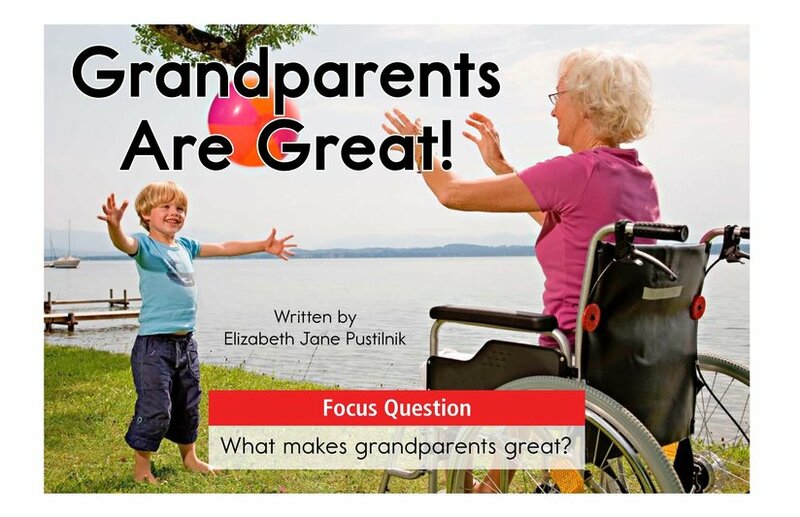 The vivid photographs and repetitive sentence structure make this book ideal for early emergent readers. 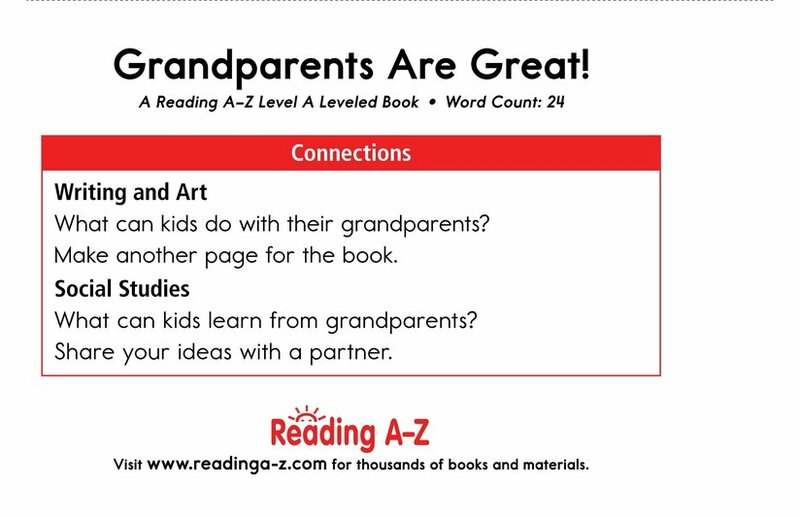 Students will have the opportunity to determine the author's purpose and practice connecting to prior knowledge. 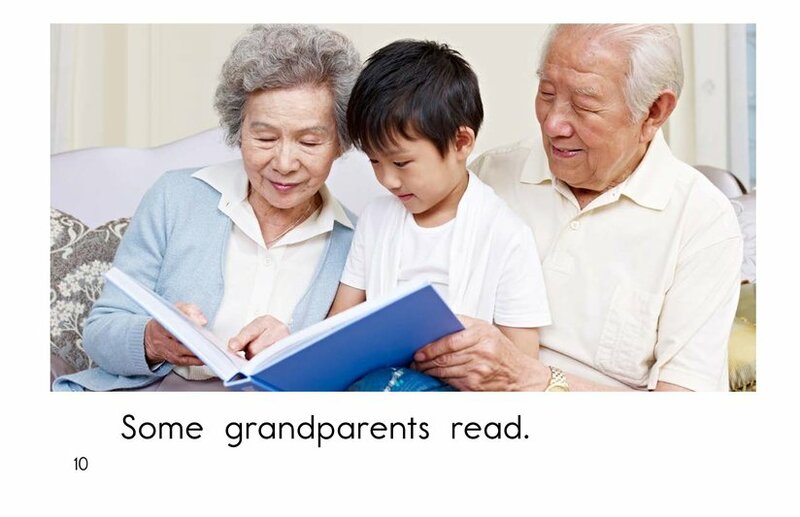 They will also learn to recognize and use verbs.